Departing on 28th June, 5th and 12 July, 2nd and 9th August 2018 and tailor-made to your specific requirements and built around Venice Simplon Orient Express departure dates. Travel from London to Verona & Venice, then back to London aboard the Venice Simplon Orient Express. The legendary Venice Simplon Orient Express offers a unique travel experience. 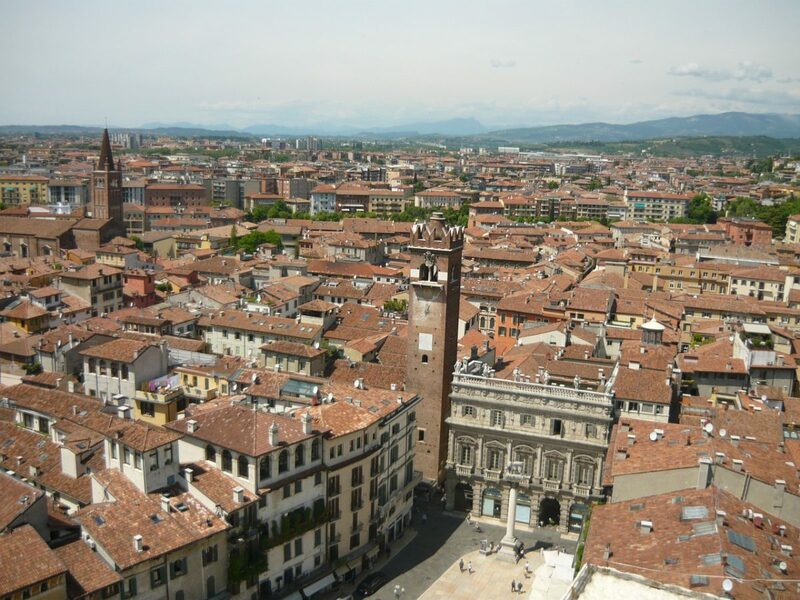 For your trip of a lifetime embark on the classic journey from London to Paris and onto the Roman city of Verona. 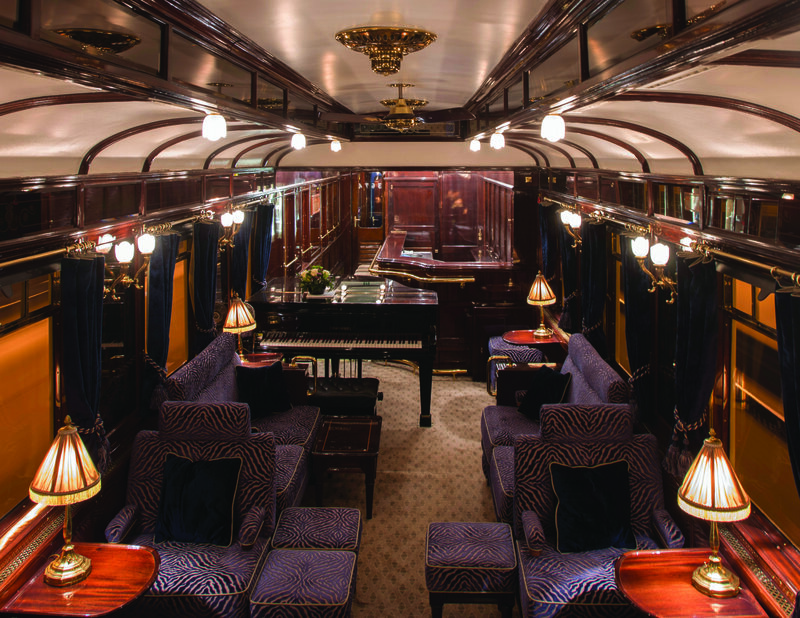 Step aboard the Venice Simplon-Orient-Express and you step back in time to a bygone age of luxury rail travel. 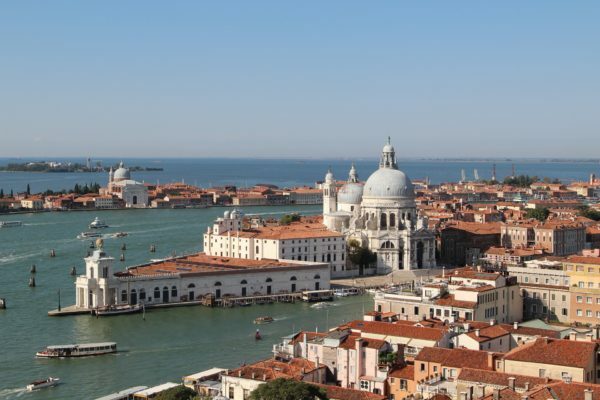 For your return trip you depart from the wonderful city of Venice through the Dolomites to Paris and on to London. In all, your journey takes you from London to Verona & Venice back to London aboard the Venice-Simplon-Orient-Express. Travelling on the Venice Simplon-Orient-Express offers so much more; your personal steward is on hand to attend to your every comfort and show you to your exquisite compartment of wooden marquetry and polished brass fittings in original 1920’s detail, with soft towels and crisp linen. Experience fine dining as white linen, French silverware and heavy crystal create a marvellous setting for your gourmet meals. All the while you travel across Europe viewing magnificent scenery and ever-changing landscapes from the comfort of this classic train. Embark on the Belmond British Pullman from London and cross the Channel before boarding the immaculate blue and gold carriages of the Venice Simplon-Orient-Express. 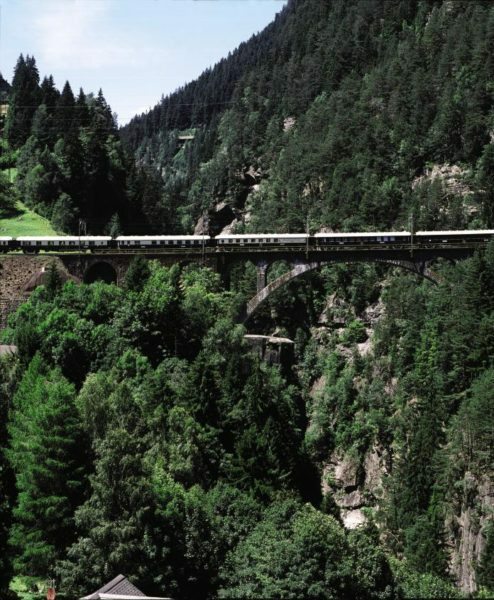 Enjoy life on board one of the world’s most iconic trains as you travel through the towering Swiss Mountains and Austrian Alps before arriving in the magnificent city of Verona. You spend 2 nights in Verona and 3 nights in Venice before you re-join the stunning Venice Simplon-Orient-Express for your return journey through the spectacular Dolomites and Swiss Alps before arriving in Paris and the final leg of your journey to London. 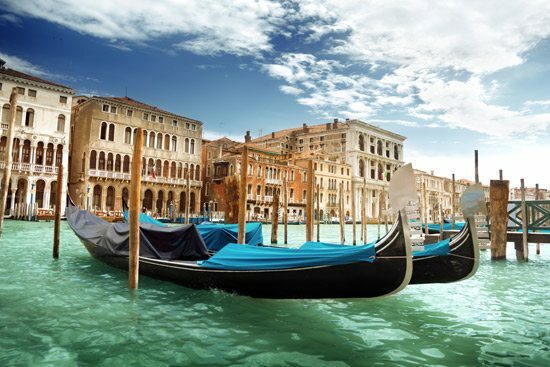 7 night holiday by Orient Express (London to Verona and Venice to London) in a double compartment with First Class rail from Verona to Venice from $6,599 per person, including 2 nights with breakfast in a double room at the Hotel Accademia (4 star) in Verona and 3 nights with breakfast in a double room at the Hotel Ai Mori d’Oriente (4 star) in Venice, plus 2 x poltroncine centrale di gradinata tickets for the Verona Opera. 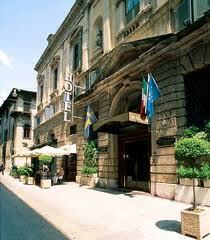 Upgrade to a suite double room at the Hotel Accademia for an additional $45 per person per night. Your holiday includes rail travel in ultimate style on board the Venice Simplon-Orient-Express from London to Verona and Venice to London with all meals included and overnight accommodation in a private sleeping compartment, a 2 night stay in Verona, First Class rail from Verona to Venice, water taxi transfers to/from Venice Santa Lucia station to your hotel and 3 night’s accommodation with breakfast at your chosen hotel in Venice. As you board the gleaming carriages of the British Pullman train at London Victoria station, your steward will show you to your reserved seat. Sit back and enjoy Brunch with Bellini as you travel through the Kentish countryside. On arrival in Folkestone you are escorted by uniformed staff via coach to Cheriton to board the Eurotunnel train to France. After crossing the channel board the distinctive blue and gold carriages of the Continental Wagons-Lits. You awake to the magnificent scenery of the Swiss Alps as breakfast is served in your compartment at a time to suit you. Choose to spend the morning in the Bar Car chatting to fellow guests over coffee or relax and gaze out at the fabulous views from the comfort of your seat. Enjoy a leisurely three-course lunch served in another of the beautiful restaurant cars. This afternoon you may choose to visit the on board Boutique to purchase souvenirs, while away the hours in conversation or take it easy in your compartment and admire passing scenery as the train travels through Italy. All too soon it is time to prepare to disembark as the train arrives into the Roman city of Verona. Here you make your own way to your hotel for 2 nights, the richly evocative Hotel Accademia located very close to Piazza Bra with its stylish and welcoming rooms. This evening savour the build-up to your night at the Opera as the crowds gather inside the wonderfully preserved Roman amphitheatre and thousands of candles light the ensuing spectacle. The Arena di Verona provides the perfect backdrop for an unforgettable evening’s entertainment, which for June 2018 is Carmen or Turandot. You can see Carmen, Aida, Turanot or Nabucco depending on departure date in July, whilst in August there are performances of Carmen, Aida and the Barber of Seville. 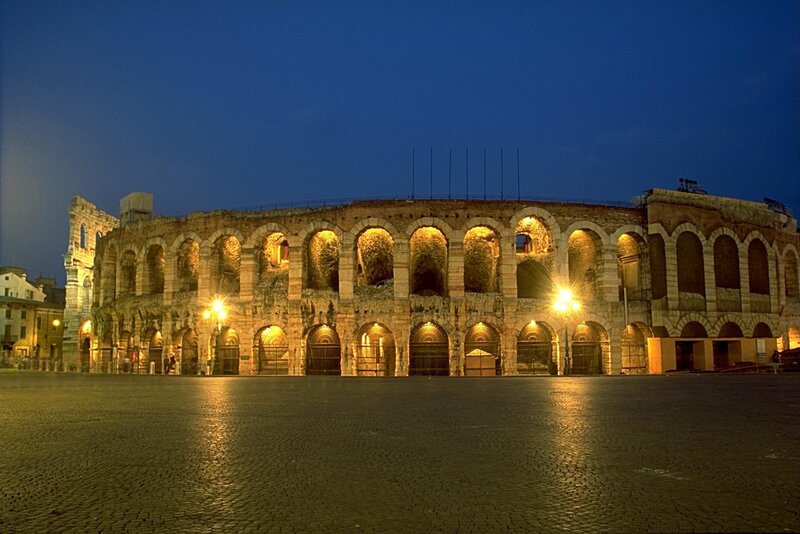 You have a further day to enjoy the Roman city of Verona. Stroll around this attractive walled city famous for the star-crossed lovers, Romeo and Juliet, and soak up the warm pastel colours of Piazza Brà, surrounded by churches, monuments and fine palazzi, built from local pink limestone. Impressive churches, such as San Zeno Maggiore, contrast perfectly with the opulence of Piazza dei Signori and Piazza Erbe close to Juliet’s balcony. For a change of scene venture out to the Valpolicella vineyards, the Palladian delights of Vicenza or take to the waters of stunning Lake Garda. This morning after a leisurely breakfast you make your way to Verona’s Porta Nuova station for the short journey to the incomparable city of Venice. When you arrive at Venezia Santa Lucia station, walk out of the station and enter a different world. Your private water taxi will transfer you in the best possible style to your hotel for the next three nights, the Hotel Ai Mori d’Oriente (4 star), an attractive, welcoming hotel known for its its friendly service, elegant and comfortable rooms. This morning after breakfast it is time to bid farewell to Venice and your stylish hotel as your water taxi transfers you across the lagoon to Venice Santa Lucia station. Here you board the splendid Wagons-Lits carriages of the Venice Simplon-Orient-Express. Your steward will show you to your private cabin and will attend you throughout your journey. After you have settled in it will soon be time to enjoy a three-course lunch in one of the beautifully restored restaurant cars. Spend the afternoon relaxing in the comfort of your cabin gazing at the beautiful passing scenery of the Italian Dolomites and the Swiss Alps, or chatting with fellow travellers in the Bar Car. Afternoon tea is served in your cabin. After further relaxation it will soon be time to dress for dinner. Why not sip a pre-dinner cocktail before making your way to one of the magnificent restaurant cars. Here you will be served a delicious four-course dinner, prepared by skilled French chefs. After dinner you may want to linger in the bar car, listening to the sound of the baby grand piano. When you are ready, retire to your compartment, which has now been transformed into a cosy bedroom. Breakfast is served in your cabin by your steward at a time to suit you. The train pulls into Paris Gare de l’Est and halts for 40 minutes. Take this opportunity to stretch your legs along the platform and watch the bustling activity; passengers boarding, chefs choosing produce for brunch, Parisians coming and going. A delicious brunch is served in the restaurant cars as you travel on towards the French coast for the Channel crossing. Join the gleaming cream and umber carriages of the British Pullman for the journey to London. Afternoon High Tea, accompanied by a glass of champagne, is served to you at your table as you travel through the Kentish countryside. All too soon it is time to prepare to disembark as your train draws into London Victoria station and the final leg of your journey home. On board the Venice Simplon-Orient-Express you travel in a private compartment, attended by your own Cabin Steward throughout your journey, where you are assured of attentive yet discreet service. Each compartment has its own original washbasin cabinet with hot and cold water, and at night-time becomes a comfortable bedroom, complete with soft towels and crisp linen. Your double compartment converts in moments from daytime seating to a comfortable bedroom. A private lounge during the day with a banquette sofa, footstool and small table, it is transformed to night configuration with an upper and lower bed. A washbasin with hot and cold water is enclosed in a cabinet and towels and toiletries are provided. The Hotel Accademia (4-star) took its name from the Academy of the Filotimi, dating from 1565, which taught equestrian skills, and it became a hotel in 1880. 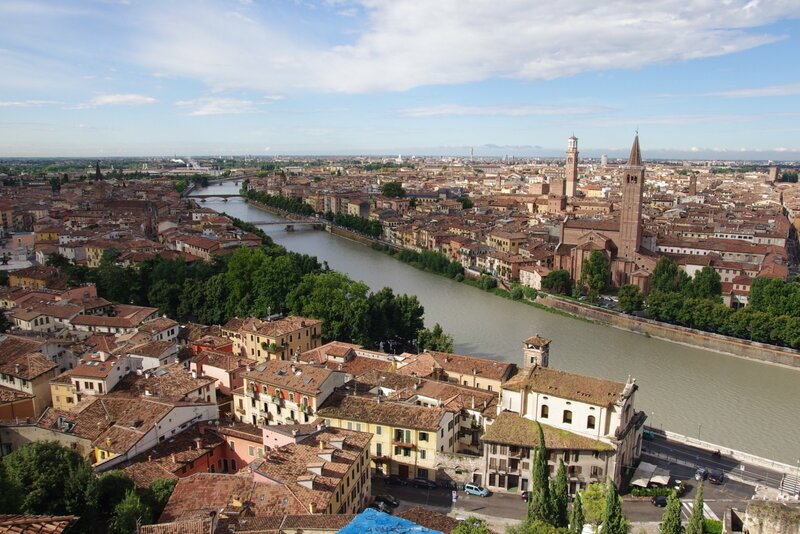 Situated in the historical centre of Verona, the hotel is close to Juliet’s balcony, just off the shopping street of Via Mazzini and within easy reach of the Roman Arena. The hotel, although centrally located, is surprisingly quiet and tranquil with courteous and helpful staff and comfy sofas for lounging in. The bedrooms are mostly large and well furnished, and the high-ceilinged guest rooms are conservatively traditional with excellent furnishings.